Emboldened by his wife’s advice, Neil and others organized a group of local volunteers and government leaders and launched the first Great American Cleanup of Mansfield. More than 700 volunteers came out on a raw rainy morning in April 2008 and gave the town a thorough spring cleaning. 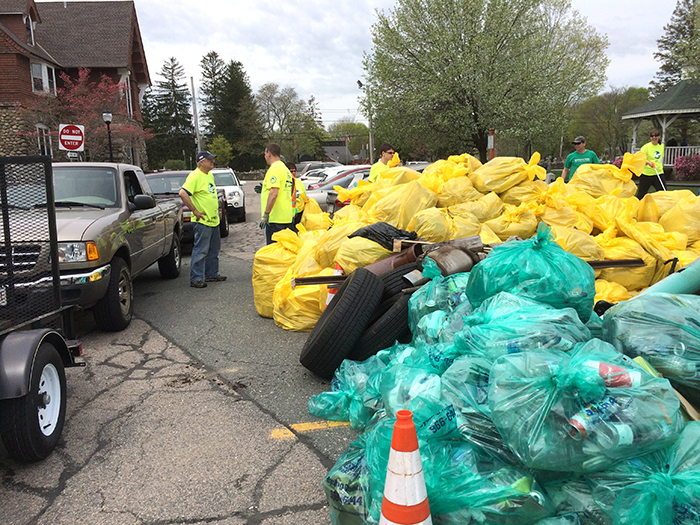 All told, volunteers collected nearly five tons of trash, dozens of tires, abandoned appliances, and other debris. The success of this event was the springboard for the formation of a Keep America Beautiful affiliate in 2009 that is now well known locally as Keep Mansfield Beautiful. 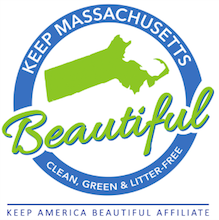 Today, efforts are underway in Easton, Attleboro, Natick, Hyde Park, Walpole, Cape Cod, and several other communities across Massachusetts to launch Keep Massachusetts Beautiful chapters, joining established affiliates in Mansfield, North Attleboro, Springfield, and Natick. At Keep Massachusetts Beautiful, we believe every town and city should have a group of like-minded residents, government, and business leaders who focus on the issues of litter prevention and cleanup, waste reduction and recycling, and beautification and community greening. By implementing proven methodologies and sharing ideas that have helped other Keep Massachusetts Beautiful affiliates succeed, dramatic improvements are possible. Learn more about the benefits of launching a Keep Massachusetts Beautiful chapter in your community or contact us for more information.